Pianstic work of dramatic and programatic character, letting imagination fly during my lonely walks in the town of Besalú. I this work, first was created the second movement, The Fluvià River, after hours of watching the river from the medieval bridge with its comes and goes. 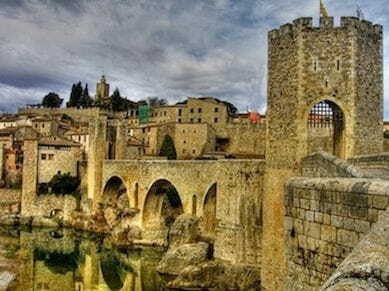 This river that pases alongside the town of Besalú in Fall its flow rises sharply inundating sometimes the streets of the ancient town. 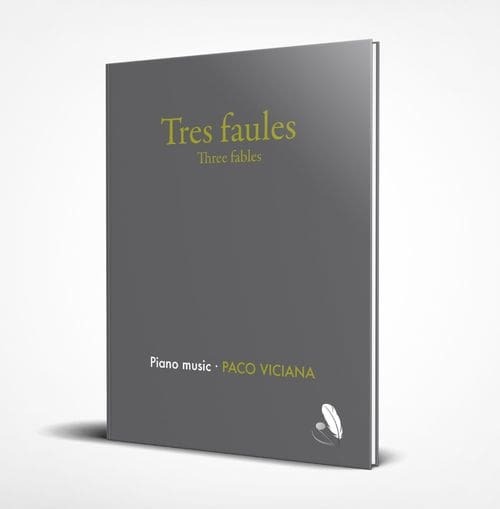 When this piece, The Fluvià River, of an impressionist character I interpreted it on a visit from pianist Joan Padrosa, who proposed me to make it longer, and that if I did so, himself would engage to do the premiere of he whole work in Besalú, where I organized festival concerts in summer. It was then, with his suggestion, that I created the two parts that wrap The Fluvià River. 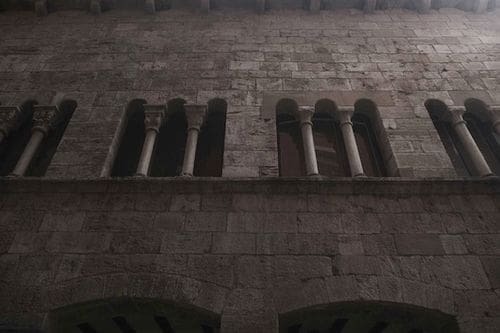 The first section, The riddle of the talking stones, tries to portray that what stones suggest me of the medieval town of Besalú, there where I lived at that moment and fought to get ahead the scool of music I founded: El sol fa la vida. It wasn't difficult for me to imagine the people of that ancestral time of XII and XIII centuries, walking through cobbled and mudded streets, going to the church, with its defense walls and its narrow streets, unto the rise up to the castle of the counts of Besalú, as this town preserves the buildings and streets of that time. The third and last part of the work, The sensory nature, represents the exuberant nature that envelopes the town of Besalú, located in wonderful region of la garrotxa, northern Catalonia. 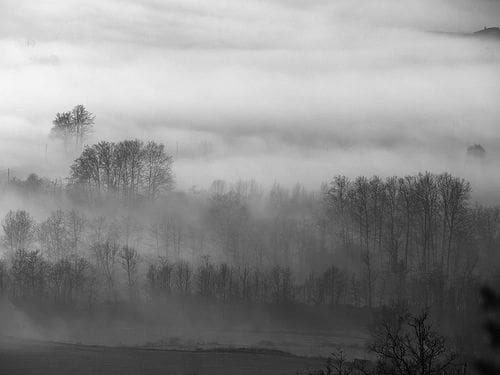 A wild landscape, abrupt, full of vitality and mistery. In it I imagine different wild things fighting and moving in the midst of vegetation, there is even a moment of flirtation between two wolves, ending the piece with a fire in middle of the forest, and the frightened flight of all of its pupulation. The title I give to the work: Three Fables is to make reference to the animal stories that are related in this work, both wild animals and humans. The Fluvià River gets so a character of living being who must be respected and conserved. 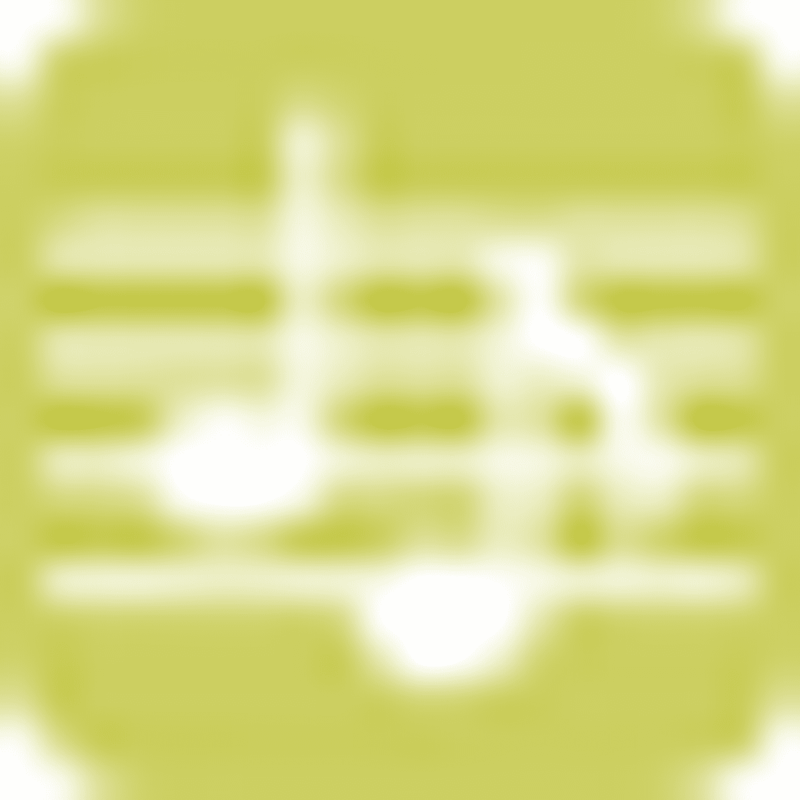 A sinfonic poem of fantastical character for solo piano. Piece for Xavi De Caso.